The Mira site was previously known as Block One of the Transbay redevelopment plan, now known as the Transbay neighborhood, with access to the waterfront, the Salesforce Park and Transit Center. The condominiums and townhouses’ tower will have large view windows. 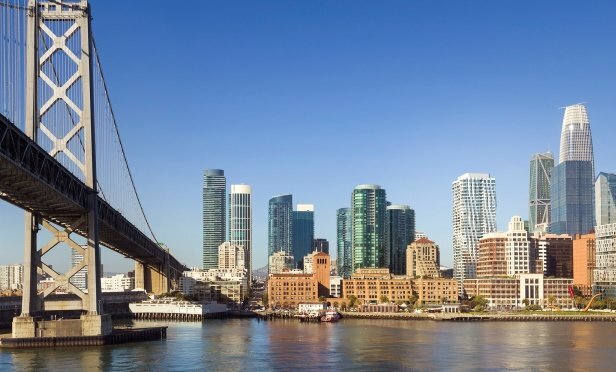 SAN FRANCISCO—Sales are responding briskly at the Transbay site being developed by Tishman Speyer, says team reps. Moreover, prospective buyers can now make appointments to preview the first homes released for sale at Mira, the 400-foot, 40-story condominium/townhouse residences. The developer opened a sales gallery at 163 Main St., one block from the construction site of the new tower at the corner of Spear and Folsom, one block from the Embarcadero.